I've never built really built a structure before, let alone a chicken coop. It initially started when I was helping my buddy build his coop in his backyard. He had some instructions/blueprints, but they weren't really accurate, so we improvised a lot. As we were building, we were looking on the internet for instructions for various technical information...we call it YouTube University. During our research, I came across this design, the original Wichita "Cabin Coop" by BaldassariClan. My friends was quite compliated, but I really like the layout/footprint. So when I came across this Wichita coop, it was almost similar to my friends, minus all the plywood, and trim. It appeared a lot more sturdier as well. So this was the inspiration for my "Coop-De-Ville." Again, thanks to the BaldassariClan for the wonderful pics. 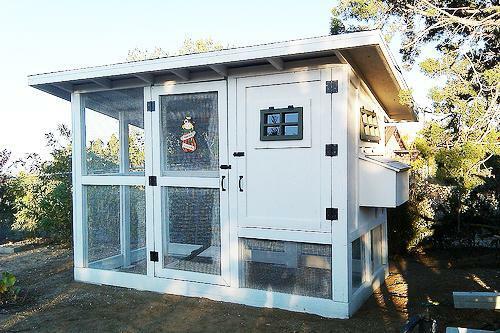 I didn't have any designs, so the only thing I went on to build the coop was the pics. So I decided to keep a list of all the materials I used, plus as many photos I could remember to take while building. My apologizes for no real design schematics or blueprints, as I'm not really a blueprint kind of guy. I will try and provide as much technical detail as possible.